The debate over Virgin removing copies of the Daily Mail from sale on its Trains in the past week highlighted the worrying trend for people to attempt to remove anything from their sphere of influence which they find in some way unpalatable – doing so without any level of regard for the real cost or consequences of doing so. Whilst this vogue appears new to many, it has been within our awareness for a good period of time. 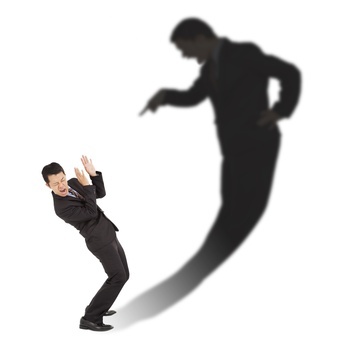 It hinges on blame culture and the overindulgence of the personal slight. It takes the self-righteous influence of the myopic ever nearer the creation and manifestation of a very twisted and unrealistic worldview. One of the reasons why it is so unrealistic is because it is built upon the foundation of idealism; that of denying that which cannot be denied. Even in politics now, we have reached a point where apparently well-educated people with significant responsibility placed upon them by many others, believe and apply the fallacious principle that “if I say it is so, then it will actually be so”. An eye on the future is however one thing, but looking back turns the same coin on to its other side. History is planned, created and experienced in the present moment by us all. Yet it is an infinite chain of perspectives or opinions, based upon what are almost always a very small number of facts – some of which even the very people who were present and involved may not themselves have actually known. That we live in a world where opinion has a level of power which just tolerates the occasional fact should really be far more alarming to us all that it really has become. That individuals have the power to blight the lives of others, simply because they hold a conflicting view, should be something that concerns everyone. That others are now trying to rewrite history and remove our heritage is a risk and threat to the future of us all and once completed may never be undone. Culturally, we indulge the notion that only bad news sells, in almost everything we do – almost to the point where is becomes only the bad news about anything itself that we remember, overlooking many more good-news-stories that are available to us as we do. The most dangerous of steps now being taken – usually by people who believe that they have been in some way slighted by the actions of people that not one of us has or will ever know – is to apply this approach to history, focusing only upon the bad parts of his story, so that the good which may have come will automatically be overlooked and quietly denied. The politically correct form of censorship manifesting itself through the attempted removal of historic names from buildings and even trusts, like those of Rhodes in Oxford and Colston in Bristol may look like the delivery of justice to the shallow depths of the egocentric. But in terms of what this action overlooks, it is to all of us as a culture and society – in no way any such thing. Nobody can realistically refute the pain and suffering that colonialism and slavery visited upon many millions of innocent and powerless people over tens and hundreds of years. Yet the industry and commerce that both were part of also brought prosperity, wealth and yes – learning to all corners of the globe. It supercharged the path towards a more enlightened and civilised way of being which itself allows the same individuals the freedom and platform to influence the world around them – for better or worse today. There is no escaping the dark parts of this Country’s historic chapters. But there are also many beneficial lessons to learn by looking them in the eye – not least of all for the purpose of ensuring that we have enough awareness of what can happen when the conditions for oppression and exploitation are right. The irony of the drive to trash these parts of history, is that they are being repeated all around us in many ways, albeit wrapped differently today. They may not look the same, but they have very much the same effect emotionally on the oppressed within the quiet of their own minds. Indeed it is a great shame that the energy and passion focused on the drive for political correctness is not itself redirected to help others who are alive and need real help – but in ways that this same lack of human awareness on the part of social justice warriors leaves them unable or unwittingly unable to define. People are increasingly being enslaved and oppressed by the world around them, financially, by rights, quixotic ideas and by the bureaucratic systems that political correctness is slowly ratcheting around all of us, like a slow pull on a closing cable-tie. To try to destroy the lessons of history, whilst overlooking live-time oppression is one of the most hideous forms of hypocrisy in action today. Focusing on events to learn lessons and use them to help others going forward would be much better for us all than playing a disingenuous game of out of sight, out of mind. This week’s Budget has been received differently by us all and in a manner which illustrates all too clearly how shallow Policy making has now become when imbalance and impact are considered. Talk of support for working mothers with young families, tax free loans for first time home buyers and even a 1p drop in duty on a pint of beer have done little to disguise the fact that there are so-called ‘winners’ and then real losers at every turn. The Chancellor has done little to give any credence to his ‘Budget for an aspiration Nation’, other than the complexity of the words he used to speak this statement. As a culture which now thrives on the use of labels and stereotypes, we have happily painted ourselves into a set of social pigeon holes where many of us hide from the realities which we share with many others. Successive Governments have formed policies on this basis which has left very few of us with any immunity from the pros and cons of a Taxation and Benefits system where the only thing universal is its level of unfairness and the disparity that now fails us all through its application. Getting to grips with economic problems which are continuing to grow at an alarming rate will not be achieved by tinkering around the edges. Nor will we as a Nation be insulated against the gathering storm of explosive financial issues within the European project, such as those in Cyprus, unless Government begins to consider all Policies in terms of how they will impact upon all others and not just in the isolationist manner that they have continued to do so up until now. A truly balanced and fair approach to formulating Government Policy now seems to be the most alien of concepts to our Politicians, particularly when party politics has been the long accepted means by which to target benefits to those whom are considered to be your bread-and-butter support. But until the time that Politicians accept the principle of fairness in a meaningful way as a guide to Policy making, and particularly where Taxation and Benefits are concerned, nothing for anyone else outside the Westminster Village is going to change. Government will soon have no option but to use systems such as a Flat Tax and wholesale simplification of the Taxation System if they genuinely want to treat everyone fairly whilst encouraging growth, prosperity and ambition in a way which balances the books. Benefits must be targeted and restricted for the use of those who genuinely need them using common sense as a guideline, rather than the culture of tick-boxes which allows so may to play the System within a politically correct and fearful age. Above all, Politicians must now accept that Policies created on the basis of improving rights in the workplace have now gone so far beyond their point of good, that they have made some of the very jobs they were created to improve unaffordable to the employers who at one time provided them. Whether Westminster likes this as a truth or not, each and every Government Policy in existence today interchanges with almost every other, through the impact it has upon the lives of us all. Policy implementation may have its benefits to some, but this has for far too long been at the unacceptable cost to the many. This has to change. As the son of a former Policeman who walked the beat on the streets of Gloucestershire in the 60’s and early 70’s, I count myself very fortunate to have heard those first hand stories of a time when the application of Law in the first hand had a profoundly different and positive impact within our Communities. Whether you were an innocent member of the public, a testosterone and cheek-filled proponent of the misdemeanour, or a fully fledged member of a criminal fraternity, you would never have dared imagine how things would change within just 50 years and how little the Police and the careers behind it are respected as they once were. It is therefore hardly surprising that the number of frontline Officers under the age of 26 has dropped by 50% in the past two years. But are budget cuts and a lack of diversity the real causes of this difference in public perception, or is there something far deeper and fundamental behind this change of understanding which leaves many wondering if the Police really want to do much more than target the law-abiding of middle England for trivial offences which often generate fines and leave the Nations bill-payers paying even more? In a time when Police Officers were respected, the slightest fear or embarrassment generated by being stopped by a Constable would be enough to teach far-reaching lessons and probably halt the fall of many a young person, without any need of further recourse or entry to a Court system which at that time was frighteningly efficient in comparison to today. Those who saw their role as a Police Officer as being a vocation were supported in their work by a system which worked on the basic practicalities that fear of an effective system of law create. They were confident in their actions, well knowing that when cases were taken before even a Magistrate, that very same system of Law would recognise that they had not taken up the time of the Bench or Judiciary without good reason. But things have changed, and the actions of a few who abused that system, ultimately have made it impossible for the many who follow behind them today. An obsessive drive by idealist reformers to eliminate even the slightest chance of conviction for anything less than 100% surety of guilt, followed swiftly by the heralding of the human rights of criminals who surrendered those very rights through their actions, have rendered the system sterile from one end to the other. It is therefore little wonder that young people have as much interest in enforcing the Law as the rest of the Nation has in their contempt for it. It doesn’t matter if a policeman is young, old; black, white; male, female: tall, short; fat or thin if the Law is feared which sits behind them. It’s time that Politicians accepted that idealism in Law and Order simply doesn’t work when applied in practical form. When Criminal Law once again begins to mean something through the interpretation of its results, then so will having a career in its enforcement. Toll Motorways: No Government can continue to charge the Taxpayer time and again for the same things and expect to be taken seriously. Latest headlines suggest that the DFT is now open to the idea of privatising new roads, and George Osborne is also now considering charging tolls for existing Motorway use too. Perhaps many of us are mistaken, but don’t we already pay for this in ways such as Road Fund License, Fuel Tax, Vat on vehicle purchases, Vat on Fuel, Vat on vehicle repairs, Vat on Tyres, Corporation Tax on Companies providing the same etc, etc??? To be fair, the list probably goes on a great deal further; and that is about the only great deal that the Taxpayer and businesses seem to get when it comes to road use and transport. One of the most significant tragedies and missed opportunities of this Coalition Government was the given acceptance on the part of so many of us that the Country’s finances are in a hell of a mess and that we had been fully accepting of the need to implement changes and policies which would have absolutely smashed the age of political correctness that is wrapped around and protects so many of the root causes of our problems. Changes and policies that if implemented, would easily have began to address the real problems which a post 2015 Government may well try to cover up with yet another return to profligate spending. Few people or businesses can exist or move forward in the UK today without transport and therefore road use entering in to the mix at some point. The financial burden which accompanies road use is already arguably higher than is sustainable. So simply loading further charges on users who cannot earn more or charge more, when every other cost continues around them continues to rise, is simply outrageous. Before anything else, existing Motorways require better management. Today’s technology may well allow for every vehicle to be ‘chipped’ and for road space to be allocated to keep overcrowded roads moving, whilst purpose-specific taxation is generated on a per mile basis. But such moves simply cannot be adopted as a method of raising additional fees and would have to replace or consolidate existing systems which do not fairly reflect levels of use and do not intelligently support the growth and competitivenness of British business. Privately built and operated toll roads may themselves bring a timely solution to the hole in funds for new infrastructure, but will again ultimately allow profit to be made from essential services and functions for public use, where focus on the bottom line will only ever lead to even greater problems for the end user. Top to bottom reform of all areas of Government, Benefits and Taxation are the only way that the true depth of this Country’s problems can ever be addressed and finding politically expedient ways of reducing the thin layer of jam between the bread in the Taxpayer’s sandwich may solve a problem today, but will leave the whole thing tasting rather sour tomorrow. Politicians must now accept that you cannot charge the Taxpayer time and again for the same things and expect to be taken seriously.